Get all the classic elegance you have come to expect from a Mercedes built to withstand any environment. Our armored Mercedes-Benz is a new class of luxury vehicle. Not only do you get the same high-quality interior and comfort you expect from a Mercedes, but you also get the safety and security that you need. Our armored sedans easily blend in so you can pass through hostile environments completely undetected. In the event of confrontation, our Mercedes-Benz cars are built with the strongest armoring features so both driver and passengers remain secure throughout the trip. All Mercedes-Benz sedans from The Armored Group come with a variety of armoring features and can be outfitted with upgrades for custom protection. A hardened ballistic steel frame and multi-layered ballistic glass are the foundations of our armored sedans. Upgrade your vehicle with roof protection, blast-protected floors, run-flat tire systems, and reinforced door hinges made right here at The Armored Group for even more security. Professional interior finishing completes the experience with a luxurious feel that passengers will appreciate with every trip. Our Mercedes-Benz sedans undergo extreme ballistics testing to make certain they are up to the standards of both Mercedes-Benz and The Armored Group. The Armored Group serves clients both nationally and internationally, including some of the most volatile destinations in the world. Our vehicles are engineered and designed for optimum protection when the chips are down. Our vehicles are known for the ability to stand up to the most hostile of environments. Our armored luxury cars are so trusted that they have actually set the standard for safety and performance within the armored car industry. When it comes to your protection, our engineers will go above and beyond to keep you safe. 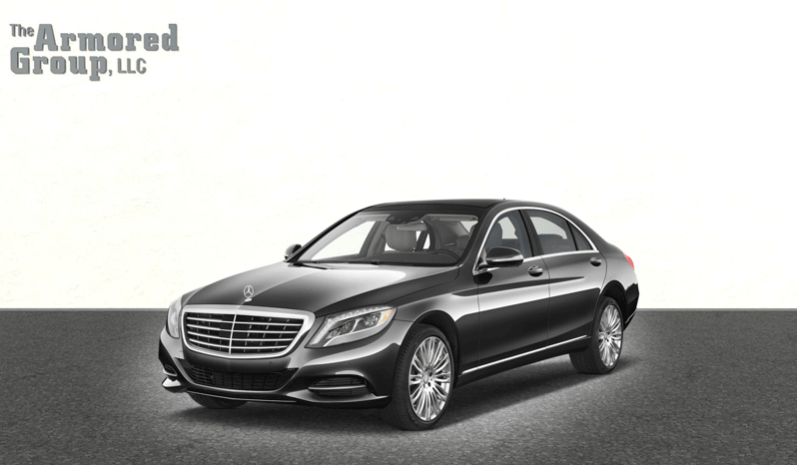 Whether you want a time-tested model straight off the floor or a custom build made exactly to your specifications, The Armored Group offers the highest quality Mercedes-Benz sedans. Contact us today to speak with a knowledgeable representative who can help you find the perfect armored vehicle to suit your needs.